Ideal for mini machines up to 1.5 tonne, the Mini Bigfoot Trencher can be used for pipe laying for irrigation, underground power & communications, road repairs, general construction. 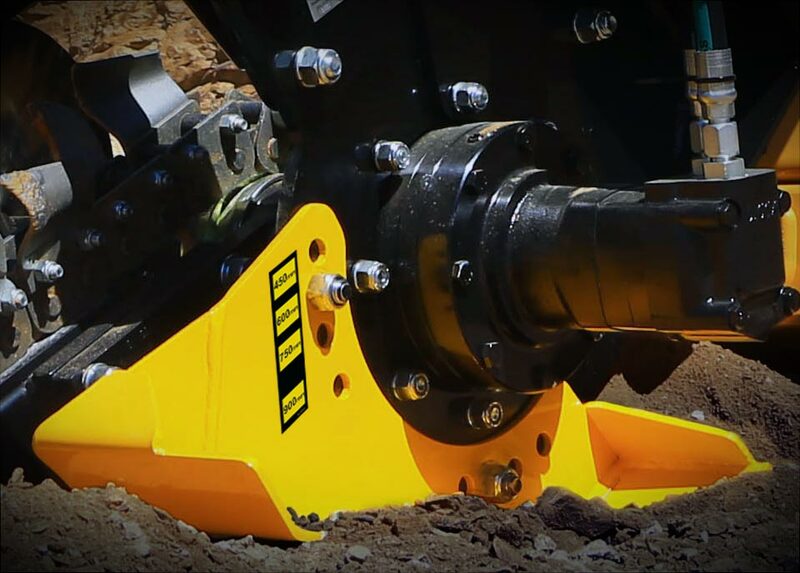 Precision depth control ensures the spoil auger has optimum ground clearance. 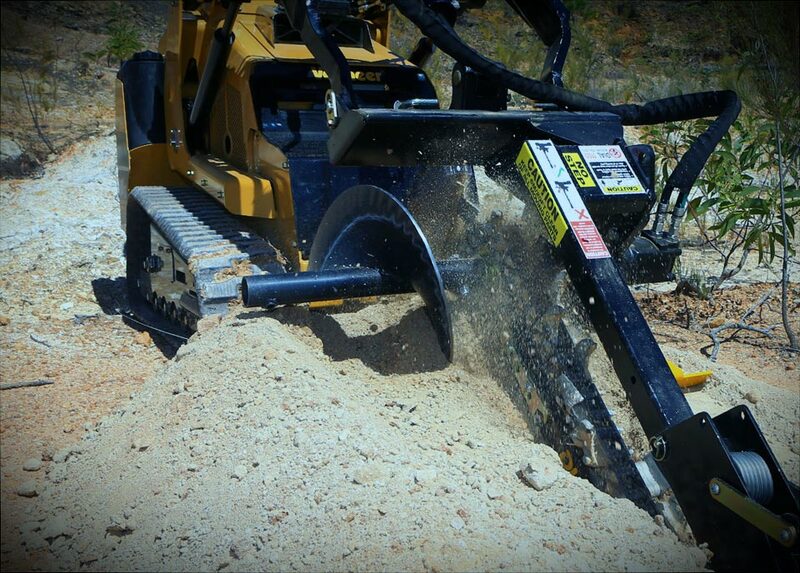 Take advantage of every bit of valuable horsepower when trenching. Preset depths: 450 / 600 / 750 / 900mm. 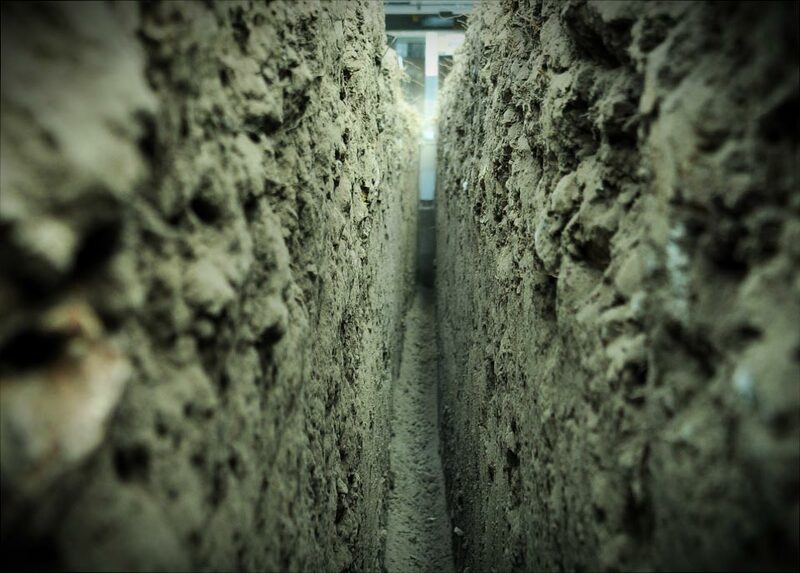 Start trenching with the crumber in-ground. A super heavy duty spring ensures the crumber stays engaged with the bottom of the trench for maximum spoil removal from start to finish. The new design foot can be clearly seen from the machine / in-cab and allows the operator to see when the trencher is in the correct trenching position. There is no need for a spotter. 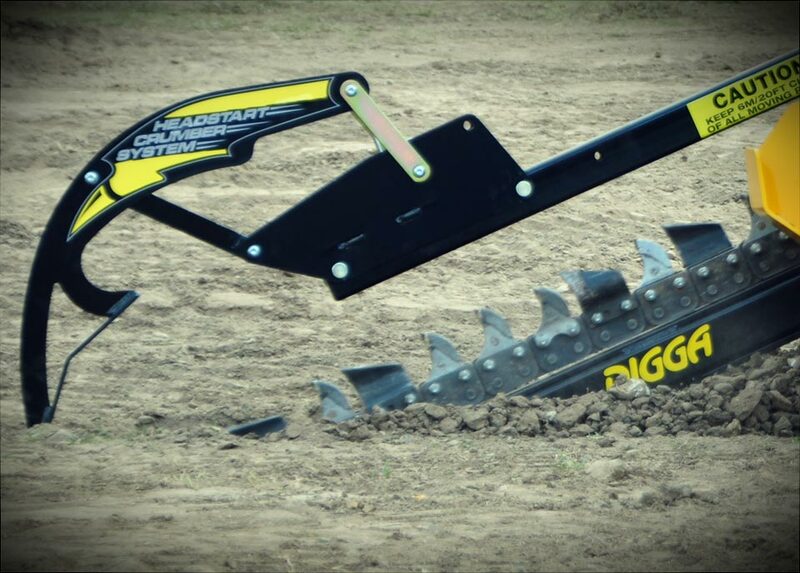 Digga's new foot design also feeds overburden back onto the chain, transferring it to the spoil auger for a cleaner clearer work side of the trench. 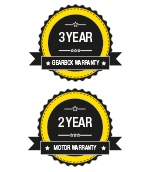 You can be guaranteed of quality and superior performance with our Anti-back Flex design. It prevents the chain links from flexing back in tough soil conditions. 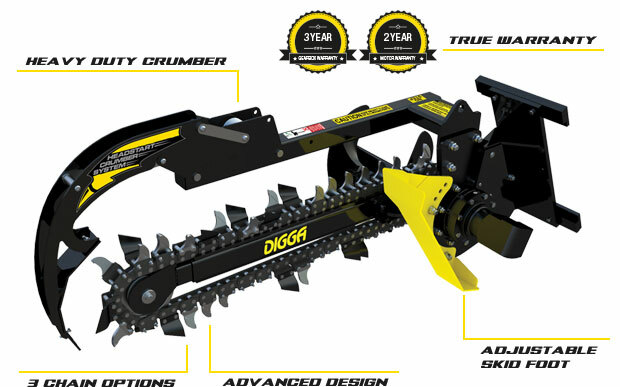 Available in a number of different tooth configurations for trenching in soft ground, mixed grounds and even permafrost so you can get the job done no matter what environment you are in. See chanin options. (*) Applies to a trencher with a 150mm combination chain. Weight is approximate.